“The Americans were in their right to reduce the number of our diplomatic facilities. But they did it in an obviously bullying manner, and that does no credit to our American partners,” he said. The jibe was referring to a gaffe made by then-US President George W. Bush during an APEC summit in Australia in 2007. In a series of blunders, the Republican leader thanked Sydney for “being such a fine host for the OPEC summit,” and later recounted how then-Australian Prime Minister John Howard had gone to visit “Austrian troops” in Iraq. 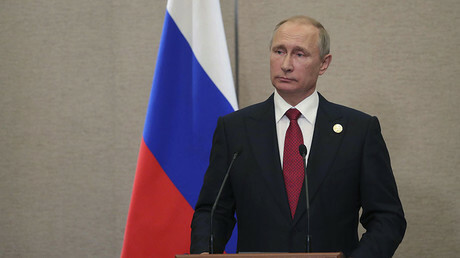 “America is really a great nation and the Americans are a great people if they can endure so many people [in the government] with such a low level of political culture,” Putin remarked. The Russian leader was commenting on the latest diplomatic row with the US. On August 31, the US State Department announced that by September 2 Russia must vacate its consulate in San Francisco and two auxiliary facilities in Washington and New York. 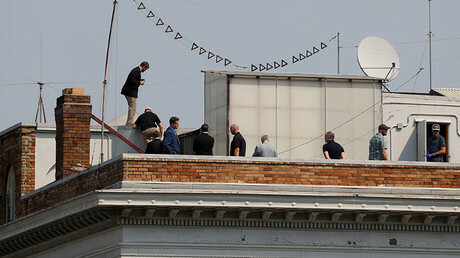 The eviction was closely followed by searches of the Russia-owned buildings, including the residences of Russian diplomats and their families. 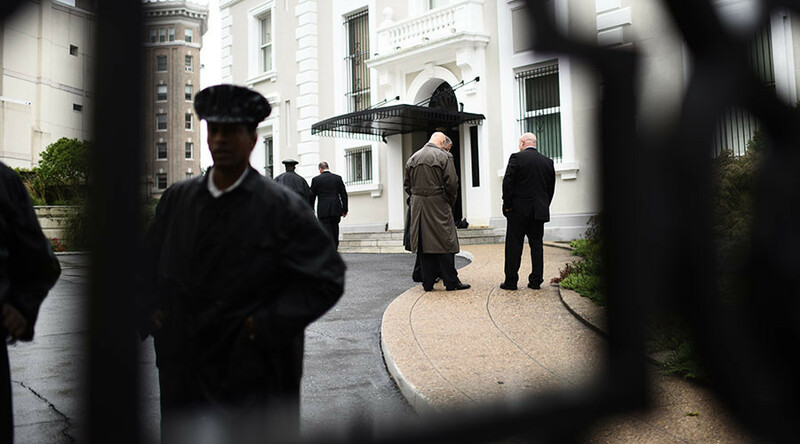 Moscow considers the search a violation of diplomatic immunity. The eviction order was apparently meant to maintain the principle of parity of the diplomatic missions of two nations, as requested by Russia. Putin said technically Russia could up the ante in this game and have 155 more American diplomatic staff removed. “But among those 455 diplomatic staff working in the United States there are 155 people working at the United Nations. Strictly speaking, they are not part of the diplomatic corps accredited by the US State Department,” he added. Putin said Moscow reserves the right to have that number of US diplomatic staff moved out of the country. He added that Russia will challenge Washington’s restriction on the use of its property in a court of law. “Let us see how good the much-lauded American legal system is,” he said. Having snubbed a former Republican US President, Putin stopped short of criticizing the incumbent one when responding to a question on whether he was disappointed in Donald Trump. He added it was not Russia’s place to speculate publicly on what would happen with Russian-American relations if Trump were impeached.